NOTE: This content is old - Published: Thursday, Jan 31st, 2019. Plans to create 30 apartments on the site of an arson-hit social club are set to go back on the table. 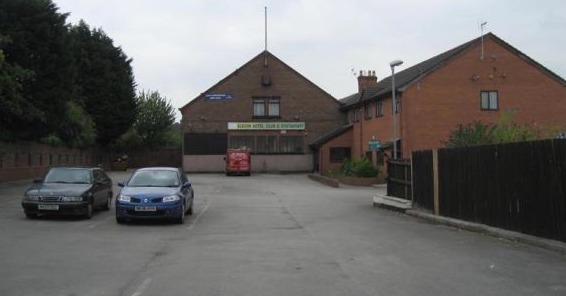 Flintshire politicians put proposals for the former Albion social club in Connah’s Quay on hold at a meeting in December because of concerns about the impact it would have on the privacy of neighbours. Planning committee members decided to ask the Design Commission for Wales for a second opinion on the application, which was entered by the Pennaf Housing Group. However, its chief executive agreed with officers that the affordable scheme for over 55s should be given the green light to meet the demand for housing. In a letter Carole-Anne Davies said: “The nature and scale of the development appears justified in terms of housing demand, local townscape and reuse of the brownfield site. “The precedent for a development of this nature has been set through planning decisions made on previous proposals on this site. “This proposal will make a valuable contribution to the housing supply, which is especially pertinent given that the local need for affordable housing is a material consideration in this case. “The proposals appear to enhance adjacent residential amenity by increasing the distance of the building from the habitable rooms of adjacent properties. The current building has been plagued by anti-social behaviour in recent years, including a deliberate fire in August 2017. An application to build 33 apartments on the site was approved in 2016, but the company behind the previous scheme went into liquidation. At a previous meeting, a planning agent said that unlike previous proposals, the new three-storey apartment block would have a flat roof to fit in with the surrounding area. However, the majority of councillors voted to defer the proposals until design issues could be addressed. Speaking at the time, council leader Aaron Shotton said: “There are a number of concerns that residents have raised with me, and particularly you’ll see within my observations the concerns around the fact there are grade II listed buildings adjacent to the proposed site. The proposals will go back before committee members at a meeting next week and have again been recommended for approval.